Put the canned tuna, apple, yogurt, and mustard in a medium bowl. Stir well to mix. 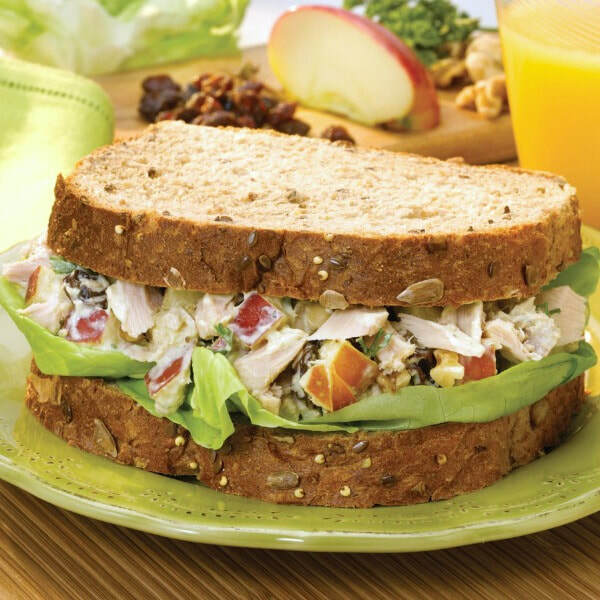 Spread ½ cup of the tuna mixture onto 3 slices of bread. Top each sandwich with lettuce and a slice of bread.